Jack begins his annual letters to Kate, “Happy…birthday to Luna.” Every time I read his opening lines I thought to myself that Luna needed a birthday cake. She missed all those birthday celebrations with her birth parents. So as the She Reads guest recipe blogger I became determined to do my darndest to see that she got one, or two, of those cakes. I kept reading to see if there would be inspiration elsewhere for a recipe idea to coincide with Patti Callahan Henry’s new novel, And Then I Found You. But by the time I reached the end of the book I still felt that Luna should have her birthday cake. I was talking to my teen sons about how I should go about creating a birthday cake for the character without actually mixing together two layer yellow cake ingredients and whipping up a vat of butter cream. We were discussing her name and how it means the moon. 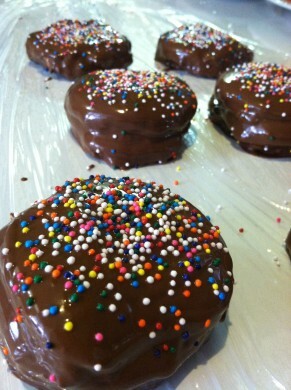 Without hesitating, my thirteen-year-old son said I should make Moon Pies. Perfect. Especially since the book is primarily set in Alabama, Georgia, and South Carolina. Moon Pies are a great tradition in the southern states. Yep. Luna pies with colored sprinkles. 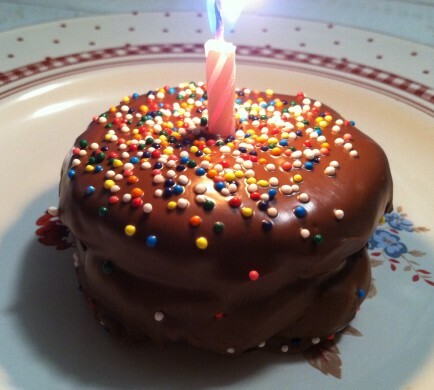 I would even give Luna a lit pink birthday candle in the finished dish photo. After I’d imagined what I would need to create my Luna pies, it occurred to me that Moon Pies might simply be glorified, preassembled s’mores. Really?! I knew I wanted Luna’s to be chocolate coated. Sure enough, I found all the ingredients but candy sprinkles in front of the sporting goods department of my local discount store, waiting for would-be campers. Graham crackers went in my shopping basket along with the biggest Hershey bar I’d ever seen and those gargantuan roasting marshmallows that you can only find during camping season. When I got my goodies home, the trial and error began. 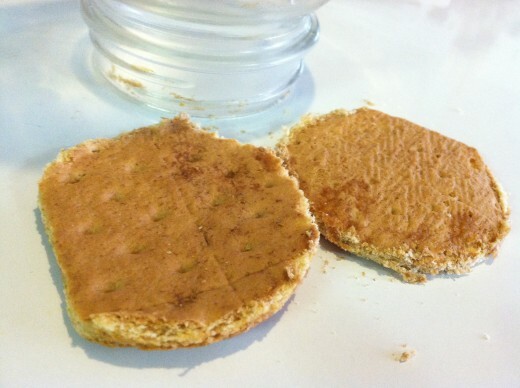 How to cut the crispy graham cracker sheets into rounds without crumbling them? 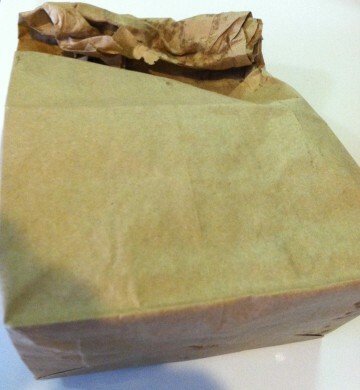 After a few failed attempts, I took four full sheets of cracker and tucked them inside a brown paper lunch sack. Then I sprinkled in a tablespoon or two of water, just flicking it over the crackers and the inside of the bag. I rolled down the top of the sack very tightly and microwaved the package for 13 seconds. I don’t know why I stopped at 13 but I have a hunch that if they’d been nuked for any longer they would have turned into something otherworldly. Already, where the edges of the damp bag touched the crackers, they were getting gummy. Any less and they would have been too crisp for me to cleanly cut into circles. 13 seconds for 13 missed birthday cakes? My 13-year-old boy coming up with the idea. I don’t know…It is what it is. I decided not long after figuring out how to cut my graham crackers that marshmallows should come with a warning label or at least microwave instructions. I found out the hard way that those things can grow to four times their size within a matter of seconds! So here I was with the biggest marshmallows on the market, cutting them to half the size of regular roasting marshmallows to make a reasonably sized Luna pie. This is how I finally got the job done. I ended up in a pretty sticky situation for a bit there, but very kindly worked out the messy details for anyone who wants to make their own chocolate coated marshmallow cookies. My boys happily polished off my unsuccessful, extra gooey attempts. I mason jelly jar with a normal sized mouth, not wide-mouthed. 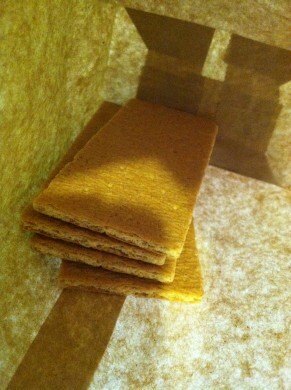 Place 4 of the graham cracker sheets in the paper sack. Sprinkle in the water. Close tightly. Microwave the whole bag on high for 13 seconds. Immediately remove the crackers and lay them in stacks of two on a flat surface. Use the mouth of the jar (or a cookie cutter of the same size) to cut two circles in each stack of two crackers to make four rounds. 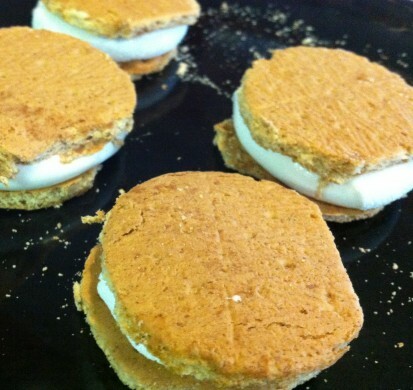 Repeat with the remaining graham crackers until you have 16 rounds. They aren’t perfectly round. I ended up with a flat side on almost every one. 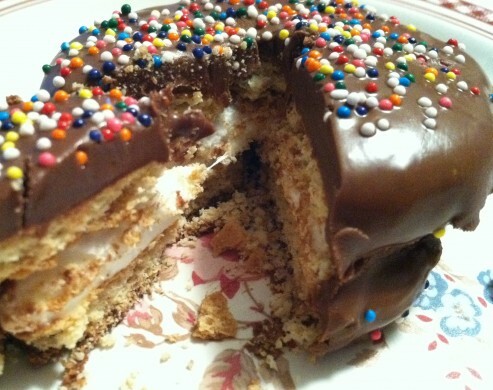 But the marshmallow and chocolate coating nicely smoothed out all the edges. 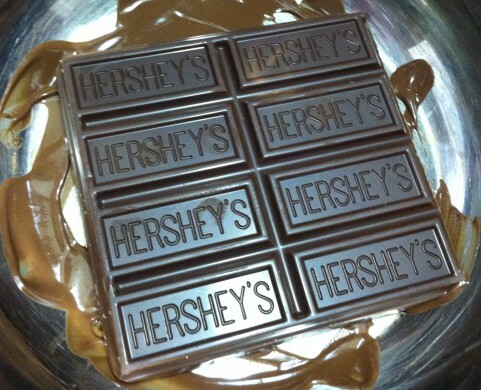 Place a quarter of a marshmallow in the center of 8 rounds on a microwave safe plate. Microwave them for 20 seconds, just until they are soft and puffy. Any longer and they will grow and grow until I just don’t know what happens. I didn’t stick around to find out. 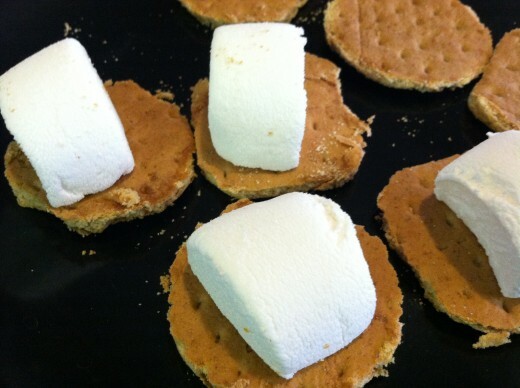 Place a round on top of each warm marshmallow and press only hard enough to get the marshmallow to fill the round to the edges. Allow the sandwich cookie to cool. 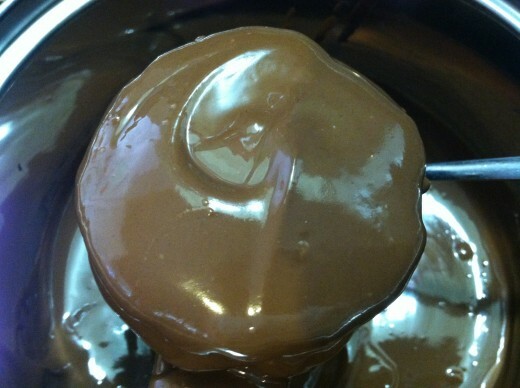 Melt the chocolate bars over very low heat in a saucepan on the stove just until glossy. 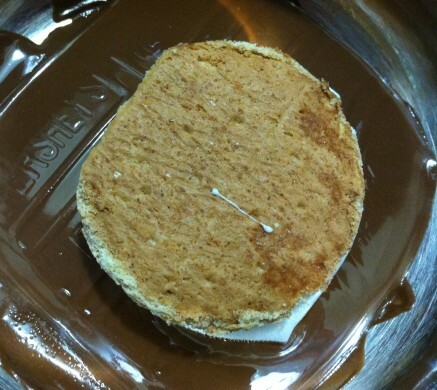 Dip and coat each marshmallow sandwich in the chocolate. 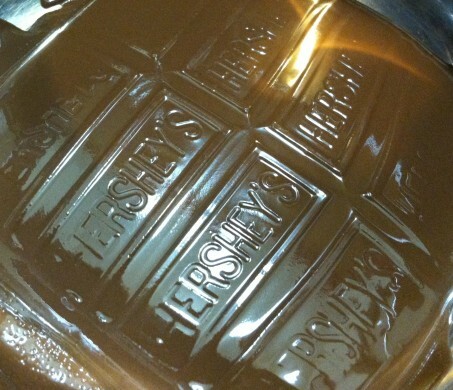 Sprinkle with the candy colors before the chocolate cools and sets. 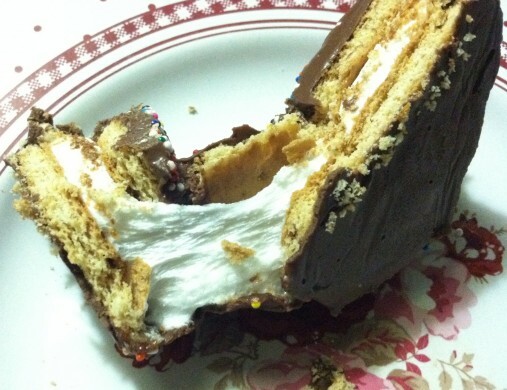 This is great, a homemade s’mores moon pie? Excellent. Thanks for sharing the recipe with us. It sounds like something my whole family would adore! 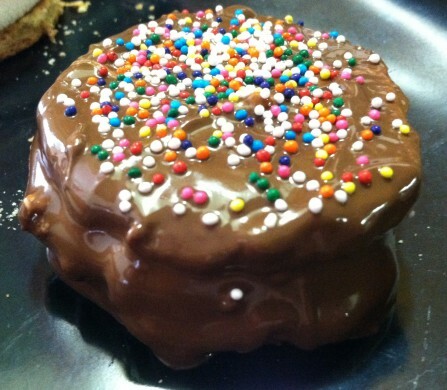 Oh, these looks like homemade moon pies! YUM!